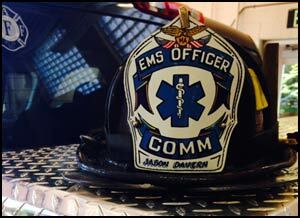 The Department currently operates with 24 EMT/Basic, 1 EMT/Advanced and 27 EMT/Paramedics out of 3 fire stations. 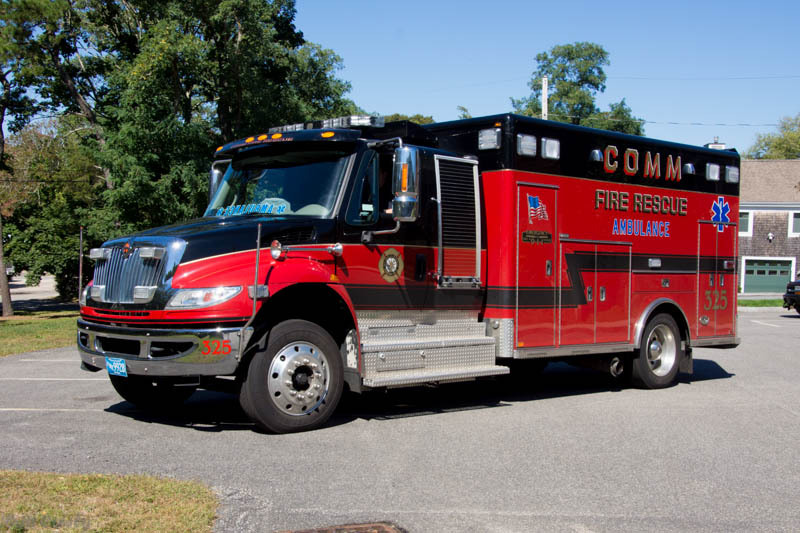 We continue to utilize four International/Horton Class 1 ambulances and one Advanced Life Support equipped fire engine. 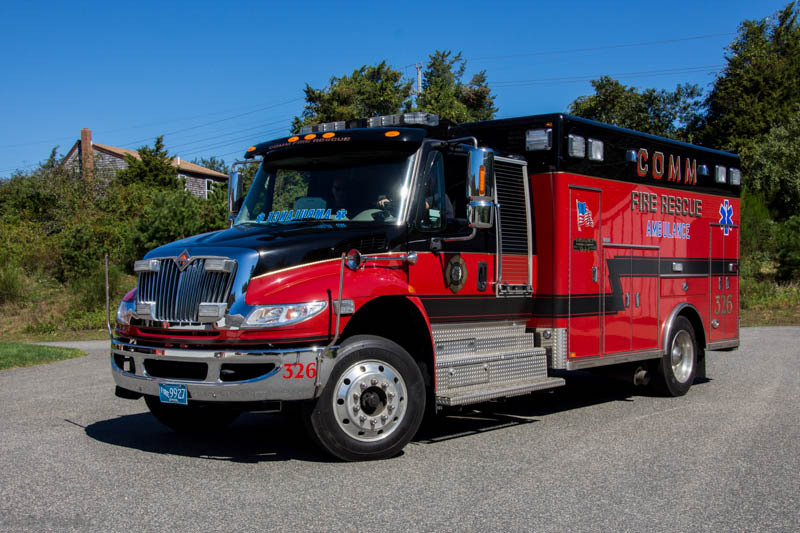 2018 saw a total of 3423 EMS calls. 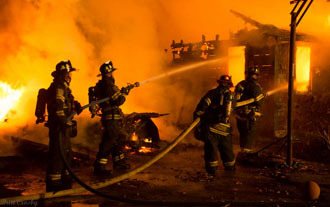 The average response time, from notification to arrival on scene is 5 minutes or less. The majority of these calls were considered Advanced Life Support (48.5%) vs. Basic Life Support (25.7%). 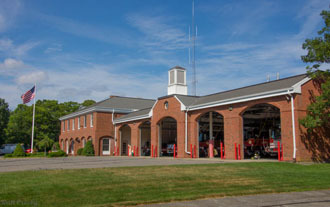 51.8% of EMS calls were in Centerville, 30.8% were in Marstons Mills, 14.3% were in Osterville and the remaining were mutual aid assistance to neighboring communities outside of COMM. 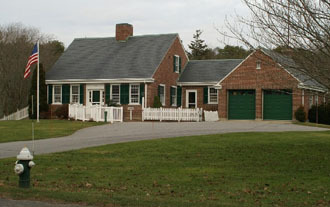 73.72 % of transports were to Cape Cod Hospital. The remaining transports were to Falmouth and Boston- area hospitals. 68.8% of patients are over 55 years old and there was nearly a 50% split between men and women. 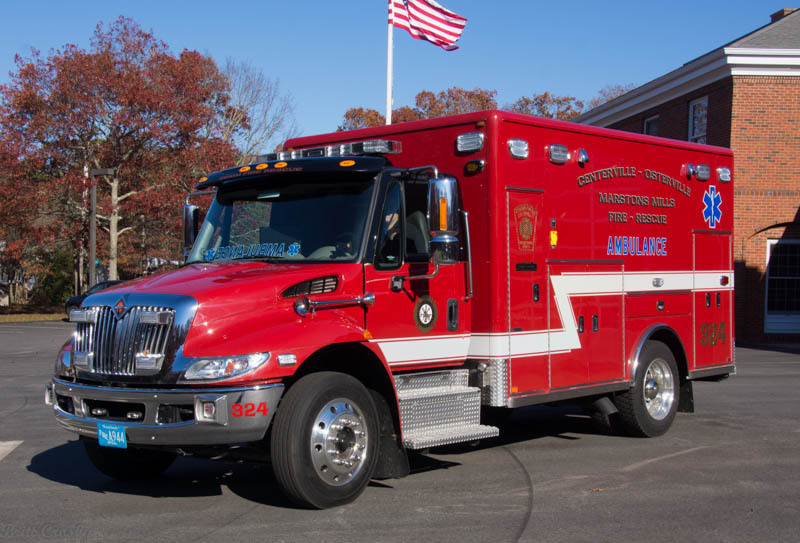 Ambulance revenue received in fiscal year 2015, July 1, 2014 through June 30, 2015 was $1,257,878.40. 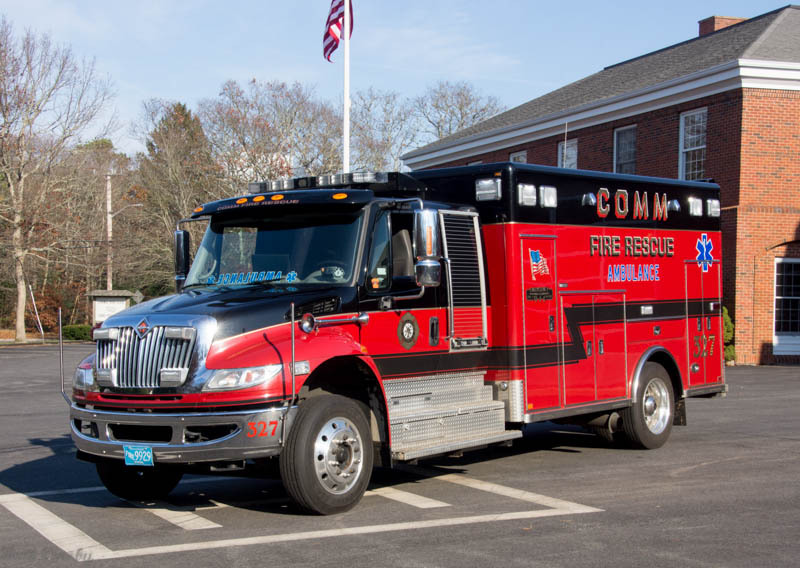 COMM Paramedics and EMT’s continuously train to maintain excellence in treatment and the highest standard of care. The LIFEPAK® 15 monitor/defibrillator is the new standard in emergency care for ALS teams who want the most clinically innovative, operationally innovative and LIFEPAK TOUGH device available today. The 15 integrates Masimo Rainbow SET technology that monitors SpO2, Carbon Monoxide and Methemoglobin, includes a metronome to guide CPR compressions and ventilation’s and provides an option to escalate energy to 360J. An entirely new platform, the 15 is powered by Lithium-ion battery technology, incorporates the SunVue display screen for viewability in bright sunlight, and data connectivity to easily and securely collect and send patient information. The most frequent procedures performed are the 12-lead ECG, cervical spine immobilization and IV starts. Almost 16% of folks refuse care once we arrive.